Welcome to the University of Arizona Main Library! Did you know we are open close to 24/7? Let's take a tour and learn more about what you can do at the library. 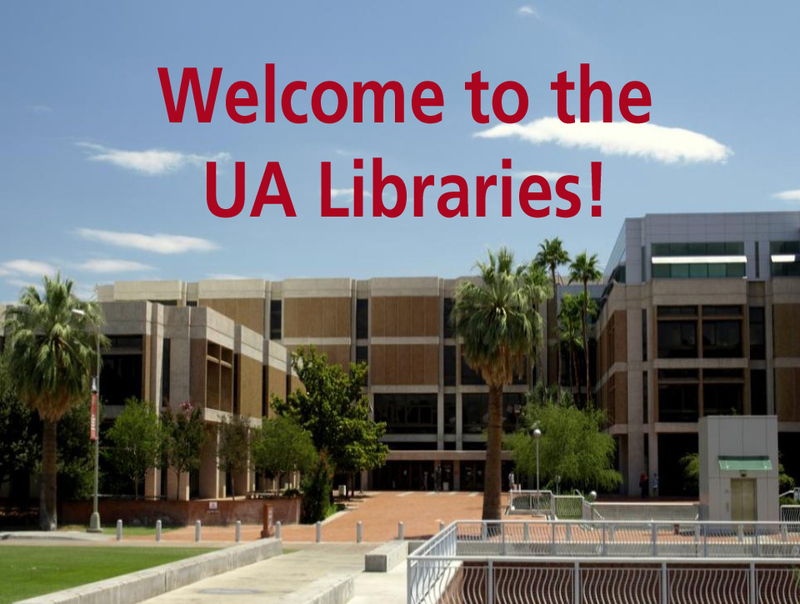 You will be completing six activities in this digital tour to familiarize yourself with the UA Main Library. You will need to open this tour on a mobile electronic device with access to the camera. If you can’t take photos on your device, you may want to borrow an iPad or laptop from the library. You can check out electronic equipment on the first floor of the UA Main Library. If you are ready to begin, enter your instructor's last name followed by the last names of your group members.